Blue Ox is a festival with spirit. There is a wide array of delicious beer, rich bluegrass music and dancing crowds with glowing smiles. On it&apos;s fifth year, one thing we can guarantee is Blue Ox Festival only gets better with age. Mark your calendars with 2019’s dates: June 13 - 15! 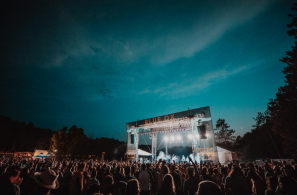 The 2019 Blue Ox lineup is committed to honoring great musical tradition, with multi-Grammy Award-winning artists including Del McCoury Band and Sam Bush, as well as featuring newer artists such as The Dead South and Billy Strings. 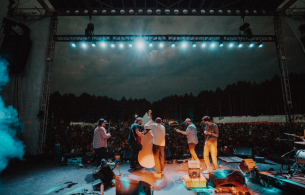 The year&apos;s first-time performing artists include Trampled By Turtles, The Earls of Leicester, The Larry Keel Experience, David Huckfelt, Dusty Heart, The People Brothers Band, The Wooks, Feeding LeRoy and Grassfed. Pert Near Sandstone are the hosts of the festival and will be performing for two nights as well. 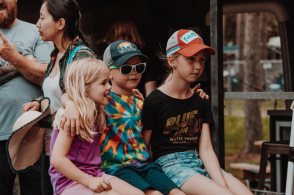 Blue Ox Music Festival takes place at Whispering Pines Campground, which boasts 100 acres of mature forests and park like lawns. It is located at 5024 Crescent Ave. Eau Claire, WI 54703. Camping accommodations include spaces for RVs, reserved family and quiet camping. This upcoming year, a "glamping" option is being included- Blue Ox will soon be offering a new option for different tier hotel + ticket packages, which include shuttles to and from the festival from select Eau Claire hotels. For more information, please visit www.blueoxmusicfestival.com. Now, all there is left to do is grab your tickets. Decide what camping option would best suit you, get your tickets here and get excited! If you need to contact Blue Ox, you can reach them at (715) 602-4440. Their office hours are Monday through Friday from 9 a.m. to 4 p.m.